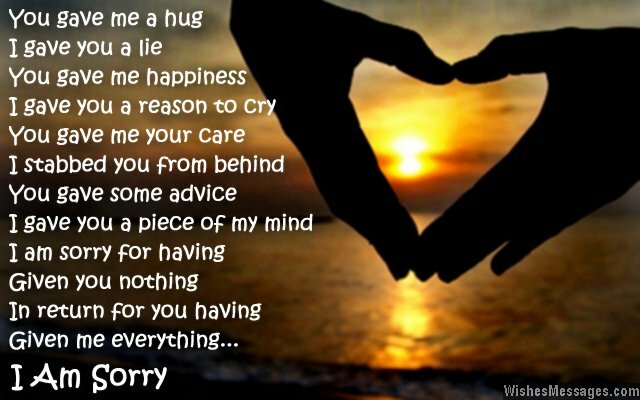 I am sorry poems for friends: Lies, cheating, talking behind the back, gossip and bad attitude are some of the things that can ruin a beautiful friendship. 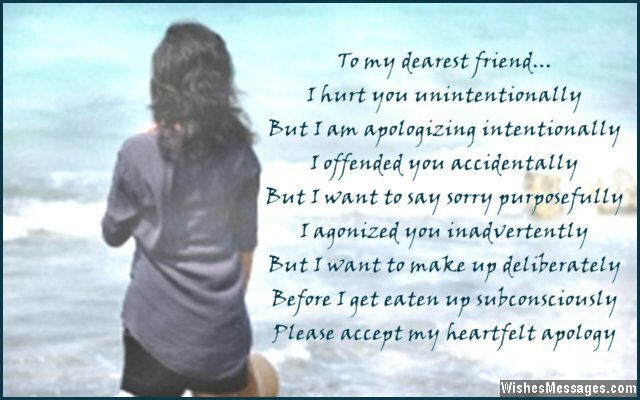 If something silly is eating away the love in your friendship, fix it by telling your friend how sorry you are. 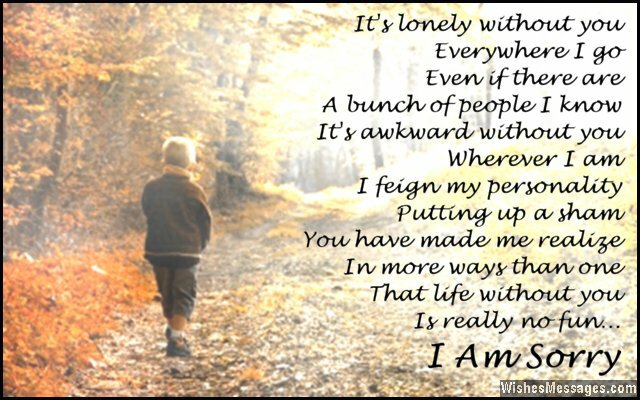 Write a cute quote on a greeting card or on a sweet handwritten note and slip it into your friend’s pocket. Reading your emotional plea will make your friend realize that stupid fights and arguments are not worth letting your friendship rot. If your bestie has been avoiding meeting you, say sorry by sending your poem by text or post it up on Facebook for everyone to see. Don’t let your bff slip away just because your ego stopped you from giving a genuine apology. Do everything you can to salvage your friendship because good friends come by only a couple of times in a lifetime.